Summer Camp Prices Increase May 1st! With Makey Makey and Sphero, elementary kids can begin their exploration into robotics, electronics, and embedded computing. 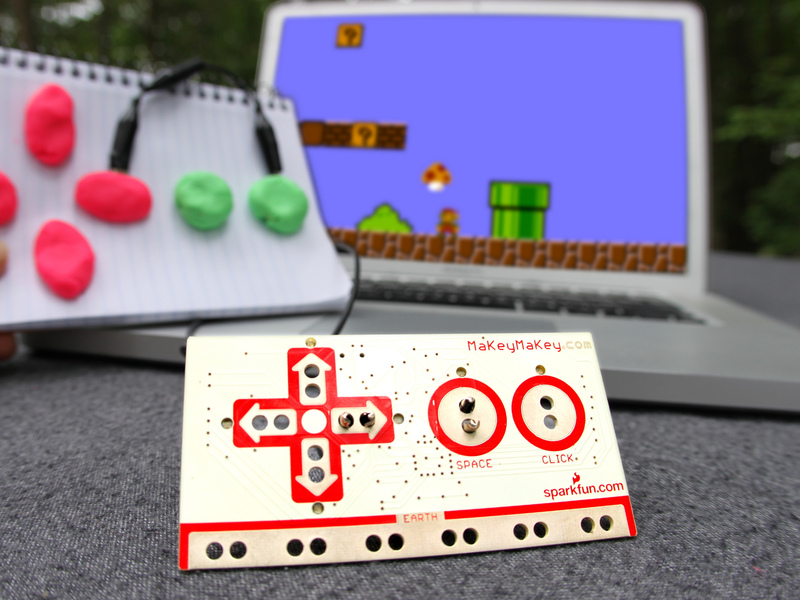 With Makey Makey, students will connect electronic components to computers and other components for an introduction to microcontrollers (Program the Internet of Things!). 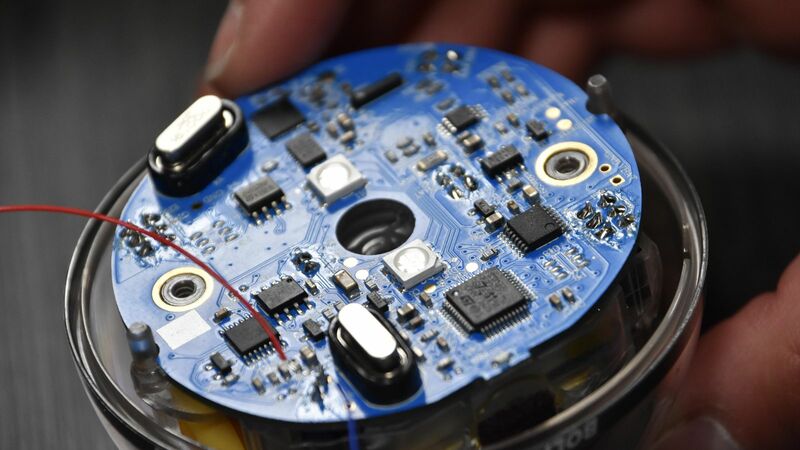 They will create real physical devices that they can use to interact with on a computer, and program those interactions. 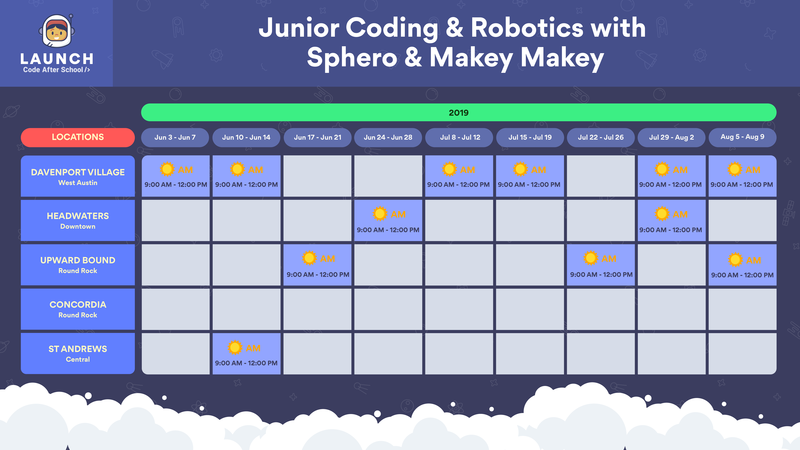 Next, students will design games and challenges using Sphero’s programming app, as they learn to build and automate their own robots! They will learn about basic programming, understanding variables, control structures, and abstraction in this introductory course. Use two different block-based programming languages while experimenting with sprites and robots in a real and virtual environment. 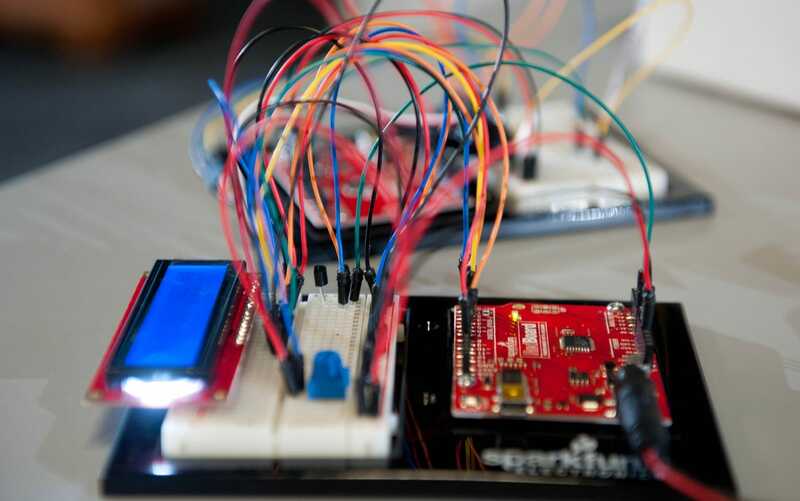 Learn how embedded computing allows us to automate and create in the real world. Create amazing projects like musical instruments and video game controllers! More Locations To Be Announced Soon! Interested in Opening a Location of Launch Near You? Demos take place at our location in Austin, TX (West Lake Hills Area). Kids must have a baseline level of reading ability. We recommend Launch for kids ages 7+.